Whilst not absolutely necessary, seed potatoes, especially early varieties, will benefit from ‘chitting’, which encourages them to sprout before planting and helps them grow faster once they are in the ground. 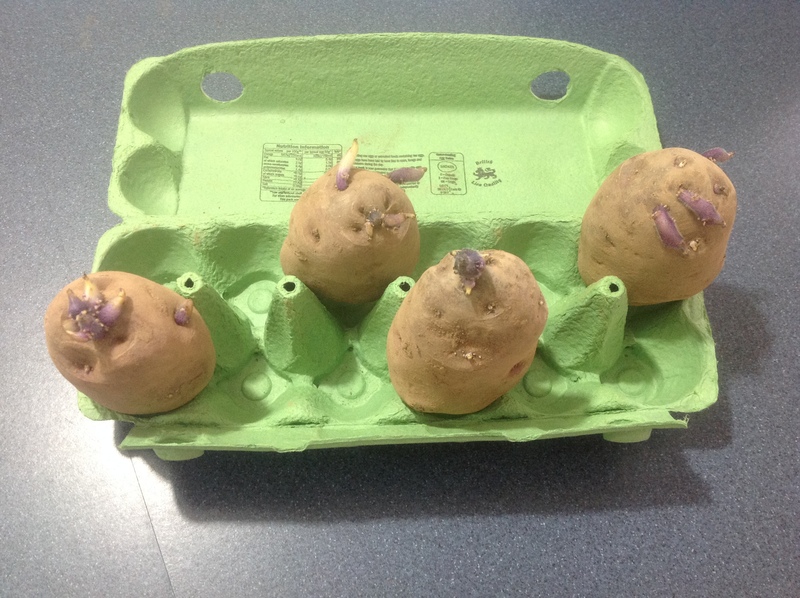 You can chit potatoes by putting them in shallow boxes or trays (egg boxes are ideal) and placing them in a cool but bright place to sprout (e.g. a windowsill). If you look carefully you will see immature chits at one end of the seed potato – this is the ‘rose end’. Put them in the trays with this end pointing upwards. In a few weeks strong shoots should have started to form and the tubers are ready for planting.